Life's momentous occasions are made all the more meaningful when celebrated with those you care about and raising a toast wishing love, luck and happiness. The inspiration behind this elegant and contemporary design draws on the captivating and exquisite bubbles in a glass of champagne - the perfect complement to any celebration. 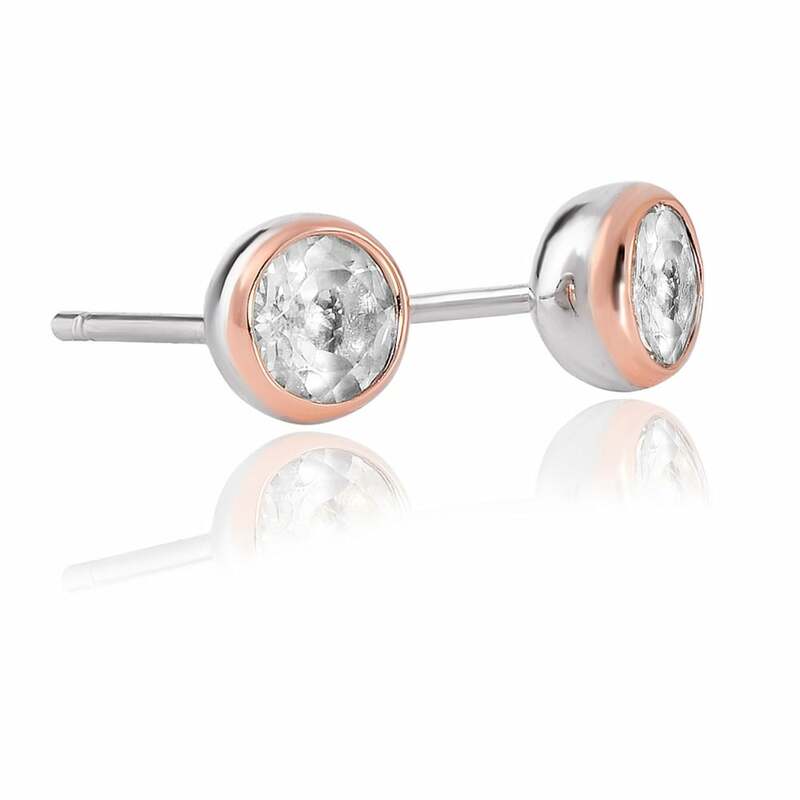 Set with sparkling white topaz, the silver and rose gold Clogau Celebration stud earrings are the perfect accessory to any outfit.